Arltunga was the site of hope, struggle and mateship for many fortune hunters who came here on foot to find gold. Born out of a goldrush in 1887, Arltunga was officially Central Australia's first town and once supported up to 300 people. At the visitor centre you will be introduced to Arltunga's colourful past and wild characters. You can learn about gold mining in Arltunga and find out how gold used to be extracted. Walks at the reserve take you through the Government Battery, Cyanide Works, Old Police Station, mines and homes. Get the Arltunga Historical Reserve fact sheet and map (697.3 kb). You can contact the Ranger Station by calling 08 8956 9770. All year round. The best time to visit is during the cooler months from April to September. The visitor centre is open daily from 8am to 5pm. Arltunga is located 110km east of Alice Springs. Follow Ross Highway and Binns Track signs to Arltunga. The last 33km are on an unsealed road. Check road conditions before heading out as roads may become impassable after rain. You can go on self-guided walks at the reserve. 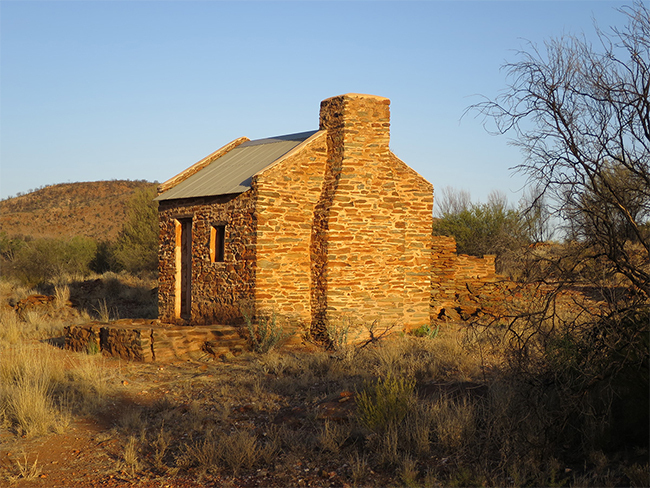 This 60 minute walk takes you to the Golden Chance Mine and includes a visit to a miner's dwelling. It boasts impressive views over much of the Goldfield. Get the Arltunga Golden Chance Mine self-guided walk information sheet (992.5 kb). This 40 minute walk takes you on a tour of the Government Battery and Cyanide Works. You will see various buildings and sites in this area including the assayer's residence, post office and government offices. Get the Arltunga Government Works self-guided walk information sheet (1005.7 kb). This 40 minute walk allows you to explore one of the few remaining historic White Range mines. Get the Arltunga Great Western Mine self-guided walk information sheet (985.5 kb). This walk provides plenty of opportunity to explore the wildlife and fascinating mining history. The distance and level of difficulty of your walk is up to you. A trip to the historic buildings is 15 minutes return. From there you can climb 150 metres up the hill to Joker Mine which is an hour return to the car park or continue on to the gorge. Get the Arltunga Joker Gorge self-guided walk information sheet (991.6 kb). This 40 minute walk will give you an insight into the hardships endured by Arltunga miners. These mines have vertical shafts. Children must be supervised closely. 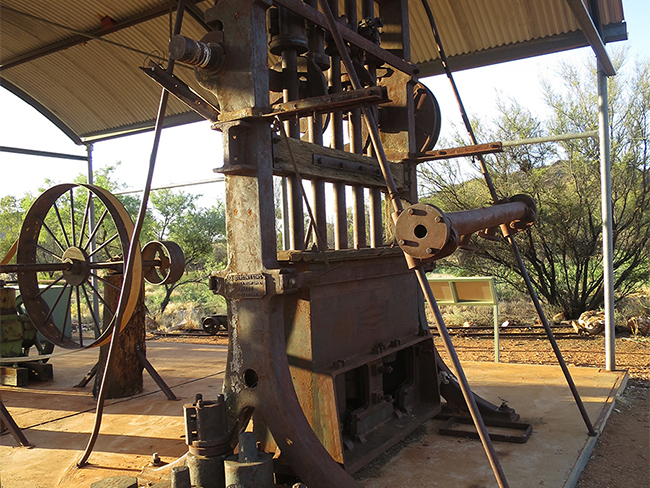 Get the Arltunga MacDonnell Range Reef Mine self-guided walk information sheet (1007.9 kb). Camping is not permitted in the historical reserve, but campsites are available at nearby Ruby Gap or N'Dhala Gorge Nature Parks. Access to these campsites is by high clearance four-wheel drive (4WD) only. 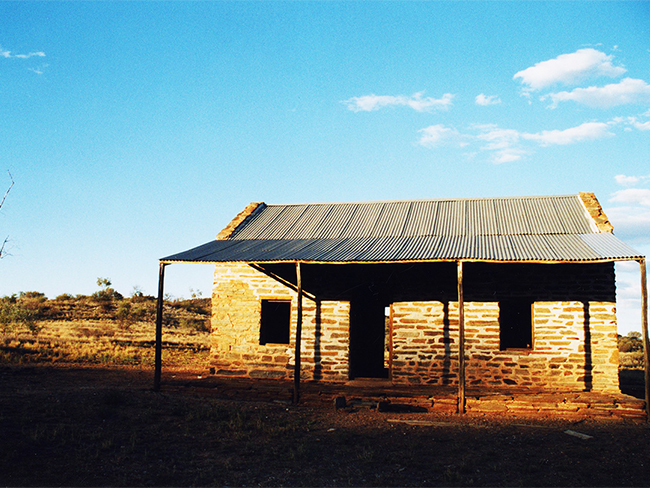 Other accommodation options include the Ross River Homestead, Old Arltunga Pub Campground and Old Ambalindum Station. pets are not permitted in the reserve. Go to Parks and Wildlife Alice Springs for more tourist information.